Our current programme can be found on our rallies page. 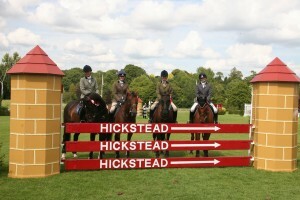 The Craven Hunt Pony Club is one of the oldest Pony Clubs, founded in 1930. We cover West Berkshire and parts of Oxfordshire, Wiltshire and Hampshire. 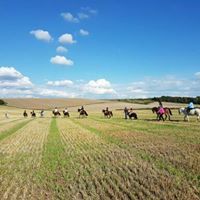 Former members include Clare and Andrew Balding, Nicky Henderson, national pony racing champion Ned Curtis, Tina Fletcher and well known commentator and former show jumper Andy Austin. Many members go on to work in different aspects of racing and horsemanship – most recently including apprentice jockeys, vet students, assistant trainers, and working pupils at dressage and eventing yards . The Craven excels in all equine disciplines. In 2016 we won the Pony Club Open Team Show Jumping at the National Championships and had representatives in the Open and Intermediate Eventing. Our show jumpers came fourth in 2016 in the Pony Club National Team Show Jumping competition at Hickstead. Instructors: The branch is lucky enough to have access to exceptional tuition. Our chief instructor is renowned national and international trainer Sarah Ward (Woodhay). We also have Ali Surrey-Dane (Wantage), Lauren Yallop (Lambourn Woodlands) and Sarah Morgan (Chilton Foliat) who are all as happy teaching the smallest mini as teaching an A test candidate. And our dedicated parent supporters regularly run badge and fun rallies and rides for our minis and juniors. Our Camp: is attended by a high proportion of our members. you can stay over with your pony or come daily and join in the fun during the day and evening. From happy hackers to serious competitors, we ensure that everyone has great fun with the Craven. If you are interested in joining the Craven or would like more information please see our contact us page for details. The Craven Hunt is a Branch or Area of The Pony Club.